Norma A. Austin has had an interest in Martial Arts since early childhood. She studied Kung Fu at the House of 9 Dragons in San Jose from the age of 14. She turned to Tai Chi Chuan and Chi Gong after experiencing chronic, emotional and physical pain due to a traumatic work accident. Norma studied Guang Ping Yang Tai Chi with Master Jarl Forsman. Master Forsman studied with Grandmaster Kuo Lien Ying, a retired congressman from the National Assembly of China. Grandmaster Kuo came to San Francisco in 1965. 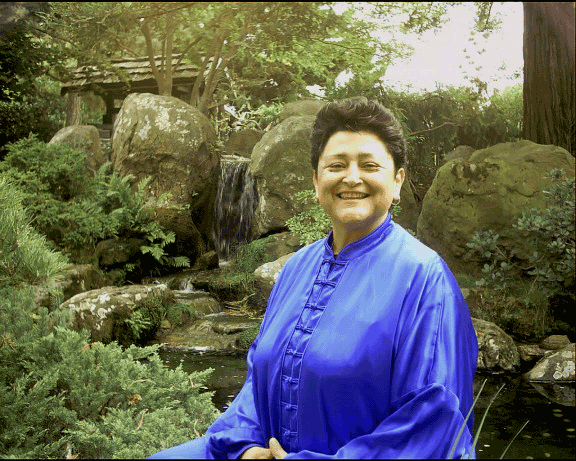 Norma has been teaching in the Bay Area since 1996. She is most proud of being able to conduct classes that are accessible to persons of various physical capabilities, ages and backgrounds in a noncompetitive and supportive environment.